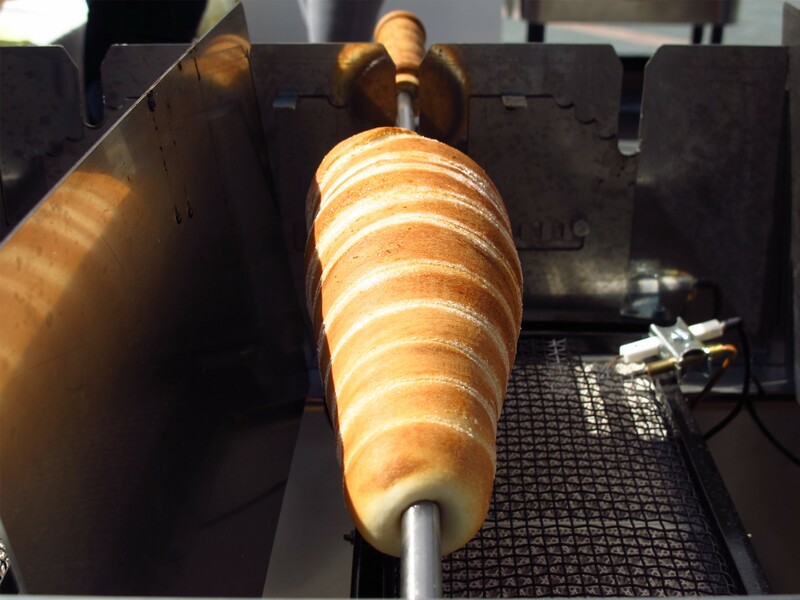 Chimney Cakes are popular in many Eastern European countries but are most closely associated with Romania and Hungary, where they are known as Kürtőskalács. 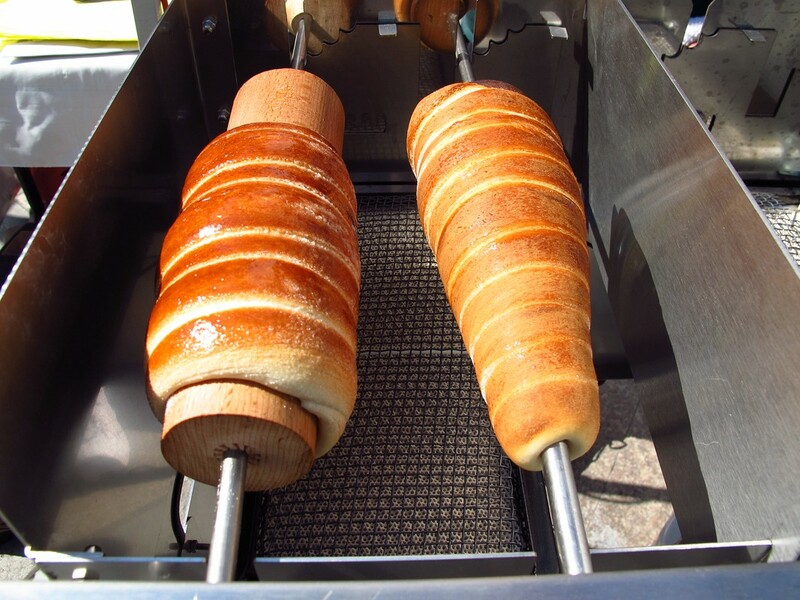 This stand moves around from event to event and offers two types of chimney cakes, the traditional “stove pipe” shape as well as a special cone shape, which is filled with ice cream and other toppings. 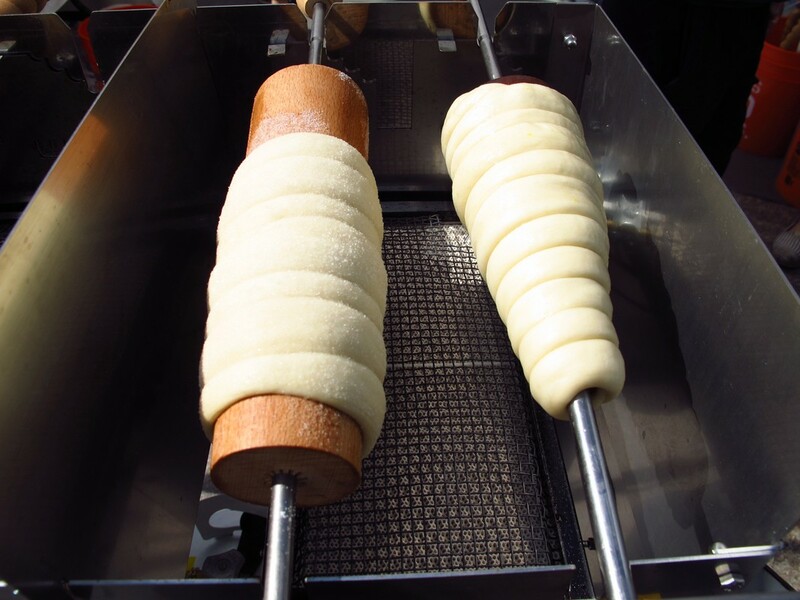 The dough is rolled out fresh on the spot, wrapped around wooden dowels in a spiral and cooked in stages on a rotating spit, rotisserie style. The finished item is somewhere between a churro and a cinnamon roll. There are many choices of toppings, from simple cinnamon and sugar to coconut, peanut and even Nutella and ice cream.